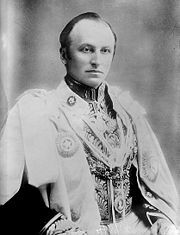 The Governor-General of India (fully Governor-General and Viceroy of India) refers to the head of the British administration in India, and later, after Indian independence, the representative of the British Monarch. The British government created the office in 1773 with the title of Governor-General of the Presidency of Fort William. The officer had direct control only over Fort William, but supervised other British East India Company officials in India. The British Crown granted complete authority over all of British India in 1833, and the official receiving the title Governor-General of India. In 1858, India came under the direct control of the British Crown. The title "Governor-General" applied to his relationship to the British Provinces of India (Punjab, Bengal, Bombay, Madras, United Provinces, etc.) and the term "British India," now generally used in reference to the pre-Independence period of British control in the whole of un-Partitioned India, historically refers to those "British provinces" only. The government ruled much of British India indirectly, dividing the territory into hundreds of nominally sovereign princely states or "native states" that had a relationship directly with the monarch, not with the British government. To reflect the Governor-General's role as representative from the monarch to the feudal rulers of the princely states, the monarch bestowed the term Viceroy of India to him, abandoning the title when India became independent in 1947. The office of Governor-General continued to exist until India adopted a republican constitution in 1950. Until 1858, the Court of Directors of the British East India Company selected the Governor-General, to whom he bore responsibility. Thereafter, the Sovereign on the advice of the British government appointed him; the Secretary of State for India, a member of the Cabinet, bore responsibility for instructing him on the exercise of his powers. After 1947, the Sovereign continued to appoint the Governor-General, but did so on the advice of his Indian ministers, rather than his British ones. Governors-General served five-year terms, but could be removed earlier. After the conclusion of a term, a provisional Governor-General sometimes received appointment until a new holder of the office could be chosen. Provisional Governors-General often came from the ranks of the provincial Governors. The Governor-General of India served in a capacity similar to the Governors of provinces in the Roman Empire. By the time Great Britain established the British monarch as direct sovereign of India, England governed colonies in Canada, the Caribbean, Africa, the Middle East, East Asia, South America, and Oceania. The Governor-General played a key role in maintaining control of those colonies. Of all world empires, Great Britain maintained the most far-flung, controlling mighty empires like India from London before steamships, the telegraph, and the railroad. The East India Company governed many parts of India which nominally acted as the agent of the Mughal Emperor. In 1773, motivated by corruption in the Company, the British government assumed partial control over the governance of India with the passage of the Regulating Act. 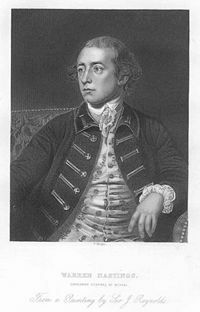 The British government appointed a Governor-General and Council to rule over the Presidency of Fort William in Bengal. The Act named the first Governor-General and Council; the East India Company's Court of Directors commissioned to elect their successors. The Act provided for a five-year term for the Governor-General and Council, but the Sovereign had the power to remove any of them. The Charter Act, 1833 replaced the Governor-General and Council of Fort William with the Governor-General and Council of India. The Court of Directors retained the power to elect the Governor-General, but the choice became subject to the Sovereign's approval. After the Indian Rebellion of 1857, the British government abolished the East India Company, putting India under the direct control of the Sovereign. The Government of India Act 1858 vested the power to appoint the Governor-General in the Sovereign. The Governor-General, in turn, had the power to appoint all lieutenant governors in India, subject to the Sovereign's approval. India and Pakistan won independence in 1947, but the Crown continued to appoint Governors-General over each nation until they wrote republican constitutions. Louis Mountbatten, 1st Earl Mountbatten of Burma remained Governor-General of India for some time after independence, but native Governors-General otherwise headed the two nations. India became a secular republic in 1950; Pakistan became an Islamic one in 1956. George Curzon in his robes as Viceroy of India, a post he held from 1899-1905. The Governor-General originally had power only over the Presidency of Fort William in Bengal. The Regulating Act granted them additional powers relating to foreign affairs and defense. The Crown refused the other Presidencies of the East India Company (Madras, Bombay and Bencoolen) authority to declare war on nor make peace with an Indian prince without receiving the prior approval of the Governor-General and Council of Fort William. The India Act 1784 increased the powers of the Governor-General in respect of foreign affairs. The Act provided that the other Governors under the East India Company could not declare war, make peace or conclude a treaty with an Indian prince unless expressly directed to do so by the Governor-General, or by the Company's Court of Directors. While the Governor-General thus became the controller of foreign policy in India, he had not attained the status of explicit head of British India. That status only came with the Charter Act 1833, which granted him "superintendence, direction and control of the whole civil and military Government" of all of British India. The Act also granted legislative powers to the Governor-General and Council. After 1858, the Governor-General functioned as the chief administrator of India and as the Sovereign's representative. He divided India into numerous provinces, each under the head of a Governor, Lieutenant Governor or Chief Commissioner or Administrator. The British government appointed Governors to whom they bore direct responsibility. The Governor-General appointed, and supervised, Lieutenant Governors, Chief Commissioners, and Administrators. The Governor-General also oversaw the most powerful princely rulers: the Nizam of Hyderabad, the Maharaja of Mysore, the Maharaja(Scindia) of Gwalior, the Maharaja of Jammu and Kashmir and the Gaekwad (Gaekwar) Maharaja of Baroda. The Rajputana Agency and Central India Agency (headed by representatives of the Governor-General), or by provincial authorities oversaw the remaining princely rulers. Once India acquired independence, the Governor-General's role became almost entirely ceremonial, with the Indian cabinet exercising power in daily legislative issues. After the nation became a republic, the non-executive President of India continued to perform the same functions. A Council always advised the Governor-General on the exercise of his legislative and executive powers. The Governor-General, while exercising many functions, bore the title "Governor-General in Council." The Regulating Act 1773 provided for the election of four counselors by the East India Company's Court of Directors. The Governor-General had a vote along with the counselors, but he also had an additional vote to break ties. The decision of the Council had the effect of law on the Governor-General. In 1784, the Council reduced to three members; the Governor-General continued to have both an ordinary vote and a casting vote. In 1786, the power of the Governor-General increased even further, as Council decisions became advisitory rather than binding. The Charter Act 1833 made further changes to the structure of the Council. The Act stood as the first law to distinguish between the executive and legislative responsibilities of the Governor-General. As provided under the Act, the Court of Directors elected four members of the Council. The first three members had authorization to participate on all occasions, but the fourth member could only sit and vote during debate on legislation. In 1858, the Court of Directors ceased to have the power to elect members of the Council. Instead, the Sovereign appointed the one member who had a vote only on legislative questions, and the Secretary of State for India appointed the other three members. The Indian Councils Act 1861 made several changes to the Council's composition. The Secretary of State for India appointed three members, the Sovereign appointed the remaining two. (The power to appoint all five members passed to the Crown in 1869.) The Crown empowered Governor-General to appoint an additional six to twelve members (changed to ten to sixteen in 1892, and to sixty in 1909). The five individuals appointed by the Indian Secretary or Sovereign headed the executive departments, while those appointed by the Governor-General debated and voted on legislation. The Governor-General used the style Excellency and enjoyed precedence over all other government officials in India. From 1858 to 1947, Governors-General went by the title "Viceroy" (from the French roi, meaning "king"). Wives of Viceroys had the title Vicereines (from the French reine, meaning "queen"). When the Sovereign visited India, none used either title. The Governor-General the Grand Master ex officio of the Order of the Star of India when founded in 1861, becoming ex officio Grand Master of the Order of the Indian Empire upon its foundation in 1877 as well. Most Governors-General treated each other as peers with the exception of Sir John Shore (a baronet), Sir John Laird Mair Lawrence (a knight), and Lord William Bentinck called "Lord" as the son of a Duke. Only the first and last Governors-General—Warren Hastings and Chakravarti Rajagopalchari—as well as some provisional Governors-General, had no special titles at all. From around 1885, the Governor-General received permission to fly a Union Flag augmented in the center with the "Star of India" surmounted by a Crown. 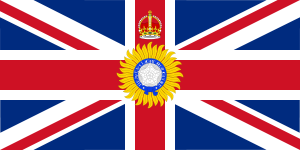 In addition to the Governor-General, Governors, Lieutenant Governors, Chief Commissioners and other British officers in India flew the flag. When at sea, only the Governor-General flew the flag from the mainmast, while other officials flew it from the foremast. From 1947 to 1950, the Governor-General of India used a dark blue flag bearing the royal crest (a lion standing on a crown), the word "India" in gold majuscules embroidered beneath. The same design is still used by many other Governors-General. That last flag constituted the personal flag of the Governor-General, for his use only. The Governor-General of Fort William resided in Belvedere House, Calcutta until the early nineteenth century, when the British government constructed the Government House. In 1854, the Lieutenant Governor of Bengal took up residence there. Now, the Belvedere Estate houses the National Library of India. Richard Wellesley, 1st Marquess Wellesley, reputed to have said that "India should be governed from a palace, not from a country house," constructed a grand mansion, known as Government House, between 1799 and 1803. The mansion remained in use until the capital moved from Calcutta to Delhi in 1912. Thereafter, the Lieutenant Governor of Bengal, who had hitherto resided in Belvedere House, received a promotion to a full Governor and transferred to Government House. Now, Belvedere House serves as the residence of the Governor of the Indian state of West Bengal, given the Hindi name Raj Bhavan. After the capital moved from Calcutta to Delhi, the Viceroy occupied a newly-built Viceroy's House, designed by Sir Edwin Lutyens. Construction began in 1912, remaining under construction until 1929, formally commissioned as the home in 1931. The final cost exceeded £877,000 (over £35,000,000 in modern terms)—more than twice the figure originally allocated. Today the President of India uses the residence, now known by the Hindi name of "Rashtrapati Bhavan." Throughout the British administration, Governors-General retreated to the Viceregal Lodge (see Rashtrapati Niwas) at Shimla each summer to escape the heat, and the government of India moved with them. The Viceregal Lodge now houses the Indian Institute of Advanced Study. Association of Commonwealth Archivists and Record Managers, (1999). A Web of English History: Lord Cornwallis as Governor General of India. History of "Governor-General of India"
This page was last modified on 8 July 2017, at 20:00.